First Listen: Hamilton Leithauser, 'Black Hours' The Walkmen's lead singer has gotten a head start on middle age, lyrically speaking. Black Hours finds him letting it catch up without losing his vitality in the process. 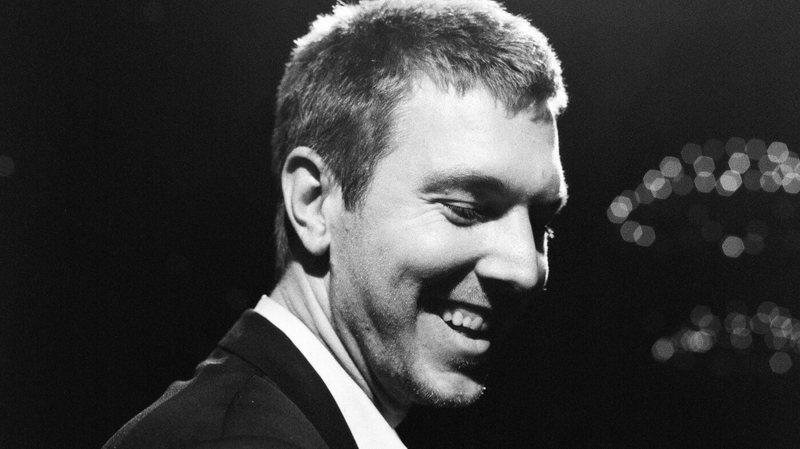 Hamilton Leithauser's new album, Black Hours, comes out June 3. Hamilton Leithauser sounds worn-out and weary on Black Hours, his first solo record since his long-running band The Walkmen went on indefinite hiatus late last year. But of course, Leithauser has always sounded worn-out and weary: The guy's still only in his mid-30s, and it's already been a full decade since he sang the words, "When I used to go out, I'd know everyone I saw / Now I go out alone if I go out at all." Leithauser has gotten a head start on middle age, lyrically speaking, and Black Hours finds him letting it catch up without losing his vitality in the process. The singer largely tones down the briskly jangled rush of The Walkmen's sound throughout Black Hours, as he steers many of its songs toward a slow-burning seethe that suits him well. But there's still a looseness to the record that allows Leithauser to play around on new terrain: "I Retired," in addition to having the most solo-debut-friendly title ever, even finds him delving into doo-wop halfway through. But Leithauser still hews to themes of aging and alienation — "I retired from my war / No one knows what I was fighting for / I don't even know myself anymore" — in ways that make Black Hours sound like a natural sequel to The Walkmen's work. Recorded in collaboration with few likeminded all-stars — including Richard Swift, Vampire Weekend's Rostam Batmanglij and The Walkmen's Paul Maroon — Black Hours feels stately and hand-crafted, even as bits of vein-bulging intensity poke through. Co-written with Batmanglij, "Alexandra" even manages something approaching fizziness, a welcome new discovery for a singer who needn't have worried so much about middle age after all.